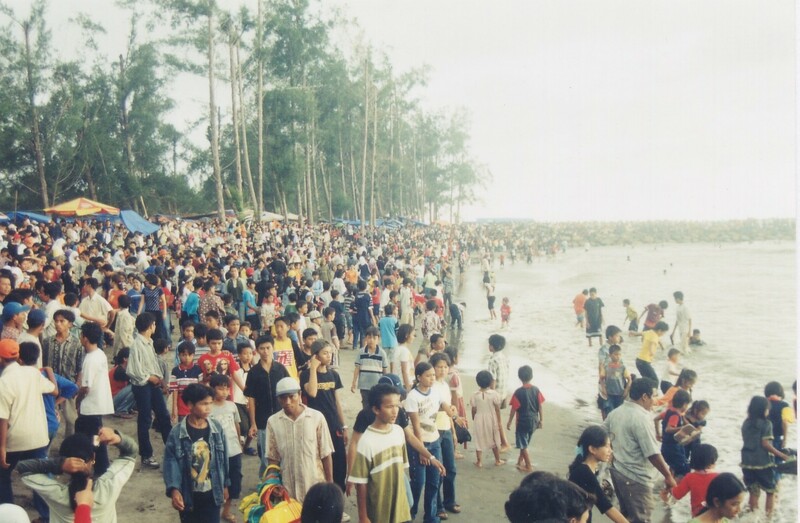 Pariaman beach party lasted for about a week every year, precisely on the feast of Eid al-Fitr. This party took place lively attended by many visitors. The migrants are returning home enjoying the feast with family and friends Tolan. 1. The day before Eid implemented mambantai event, a cultural characteristic that Pariaman slaughter cattle whose meat is bought people to make different types of dishes made ​​of meat such as rendang, soups, kalio meat, goulash baga, Gajebo, trim meat, etc. . The cuisine is offered for guests who formed friendships on the day of Eid. Almost in all corners of the city there are many people Pariaman mambantai buffalo or cow. 2. Id prayer together in the field or in mosques. 3. Beach party with a variety of interesting activities in the town center and Gandoriah Coast. If you are into Pariaman at this beach party, do not forget before going to the island, especially Angso island that became the target of the youth, and spend time enjoying nautical fun bersenda. Also available specialties Piaman satay with mixed ice really inviting feeling.